Aptly named ‘Versailles’ after the principal royal residence of France from 1682 under Louis XIV until the start of the French Revolution in 1789 under Louis XVI, it’s easy to imagine Marie Antoinette taking a liking to these peep-toe heels. 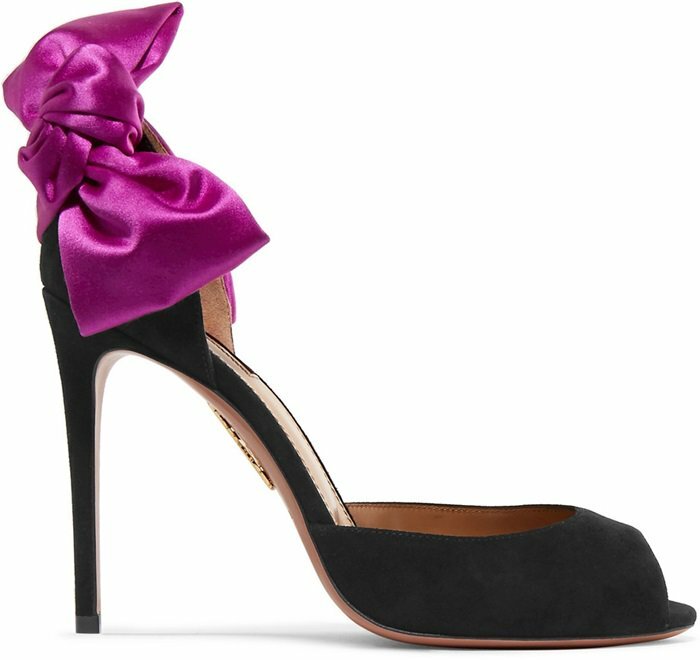 Set on a slim stiletto heel, this black pair from Aquazzura has been made in Italy from plush suede. You can also buy these playfully feminine peep-toe heels in black and red at Saks Fifth Avenue!